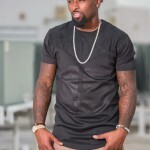 As The Next NFL Player to Watch Out for, Jarvis Landry Focuses on Playing His Best Football for the Miami Dolphins and Sharing His Other Hidden Talents! 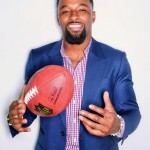 Impressing football fans with his remarkable one-handed catches, and receiving top billing from the NFL network for the number one catch in 2015 during the Miami Dolphins game against the Indianapolis Colts, Jarvis Landry is just getting started. 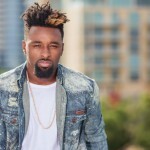 Entering his third year in the NFL as a wide receiver for the Miami Dolphins, Landry is here to show everyone what comes from hard work and determination. At the young age of 23, Landry has a style and maturity that offers football fans both excitement and a breath of fresh air. 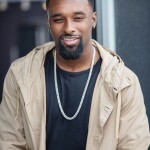 Recognizing that to succeed, one must remain focused and not be afraid to work, Landry continues to push forward with his career in hopes of one day being inducted into the Pro Football Hall of Fame. Landry first developed his love for football at the young age of nine. Lacing up his cleats and stepping out onto the football field always brought him a sense of excitement. Looking back when he was drafted into the NFL as a second round pick was a memory Landry would never forget. Landry attributes the man he is today through the obstacles he overcame throughout his childhood. His mother worked long hours with two jobs, to make sure he had everything he needed. Landry looked at her strengths and drive and utilized these assets into his own life. Growing up in a humbling neighborhood added to his challenges, but that did not alter Landry’s desire from reaching his goals. 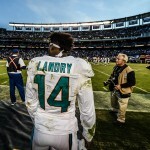 Landry’s strong work ethic helped him achieve the new record for having the most receptions in his first two seasons than any other player in NFL history. He and his former Louisiana State University teammate, Odell Beckham Jr. of the New York Giants remain good friends. Both known for their one-handed catches and natural playing ability, Landry does not feel any competition with Beckham. “We encourage each other on and off the field and if anything, we motivate each other to get better,” Landry explains. Earning the nickname Juice in college for the energy he brought to practice everyday, Landry does not take his life for granted. He looks to inspire kids to follow their dreams as he did and understand that with hard work and determination, anything is possible. 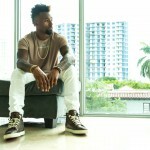 Aside from football, Landry likes to express himself through fashion and music. 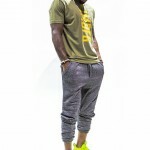 He has designed his own custom suits and looks to eventually open his own clothing store with custom jeans and shirts. Growing up in the South, Landry grew up with a love of country music. He decided to learn how to play the guitar and broaden his musical talents. With his guitar playing skills, Landry has also written country songs. He has found that through writing music, this has given him a personal outlet with his feelings. So will we hear Landry in concert anytime soon? “No, it’s just a hobby! But if any record labels out there are interested, let me know,” laughs Landry. Understanding the difficulties that many youth today face, Landry gives back to communities including his own. In addition, Landry and his family open their home on Christmas Eve to their community to have fun and enjoy each other’s company. With undeniable attention and fame, Landry has been able to stay away from many pitfalls that come with stardom. Playing in the NFL has given Landry the opportunity to travel to new places during the last two years. One of his favorite places to play football is Chicago. When not playing football, Landry enjoys visiting the California sunshine and hospitality to relax. His favorite location however, is returning to his bed at home. Landry is a young man who sets great examples for future football players. He does not take this role lightheartedly. 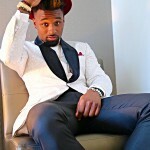 Be inspired by Landry and follow him at Twitter @God_Son80 and Instagram @JuiceUp14.